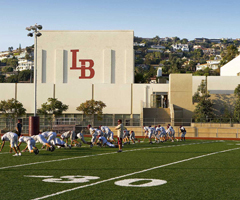 Mr. Billinger has been assistant principal at Laguna Beach High School since 2005; this is his 28th year in education. He oversees attendance, discipline, select academic departments, campus supervision, school safety, athletics, and visual arts, in addition to site facilities and maintenance. 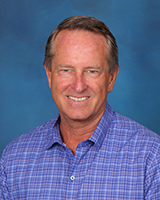 Before joining the Breaker staff, Mr. Billinger was an assistant principal at the Orange County High School of the Arts (OCSA). Before becoming an administrator, he taught at the middle and high school level as well as in continuation, expulsion, and adult education settings. During his teaching career, he found time to coach high school baseball and officiate high school and collegiate athletics. Mr. Billinger has a Master of Arts in Educational Administration from California State University, Dominguez Hills where he also received his Administrative Services Credential and Single-Subject English Credential and a Bachelor of Science in Business Administration from California State University, Long Beach. 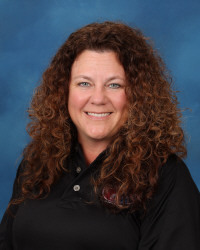 Ms. King has been assistant principal at Laguna Beach High School since 2016. She oversees curriculum and instruction. Before joining the Breaker staff, Ms. King was the assistant principal at Thurston Middle School here in LBUSD, as well as Vista View Middle School in the Ocean View School District. She has taught 6th, 7th, and 8th-grade reading intervention, 8th-grade social studies, and 7th and 8th-grade language arts. She has also served as a teaching assistant principal and an assistant principal. Before that, she was a teacher at an elementary school teaching 2nd, 3rd, 5th and 6th grade; she has also served as GATE coordinator and ASB coordinator in previous roles. Ms. King has a Master of Arts in Education Cross-Cultural Teaching with an emphasis on reading comprehension and a Bachelor of Arts in Liberal Studies from California State University, San Bernardino. Additionally, Ms. King holds an Administrative Services Credential, a Single-Subject English Credential, a Multiple Subject Credential, and a Reading Specialist Certificate.